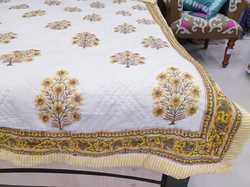 Pioneers in the industry, we offer printed primium jaipuri razai, primium jaipuri razai, hand block printed jaipuri razai, jaipuri cotton razai, hand block printed cotton jaipuri razai and designer jaipuri razai from India. 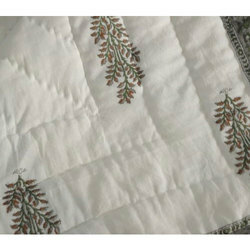 We are counted amongst reckoned names in the industry, committed towards offering a wide gamut of Quilts. 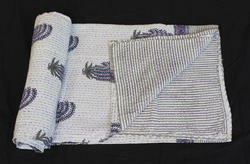 The offered range is designed by utilizing optimum quality fabric in compliance with international standard. 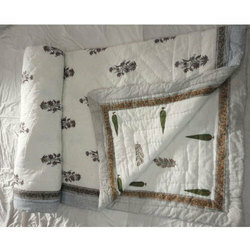 Furthermore, we provide this quilt in various attractive designs and prints, all of which can be customized as per client-specific requirements. 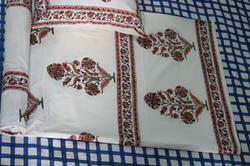 Furthermore, clients can avail the entire range from us at the most affordable rates. 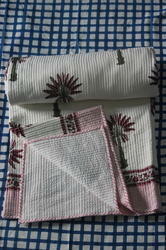 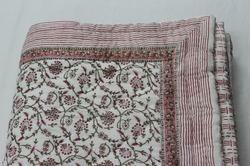 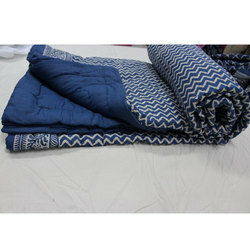 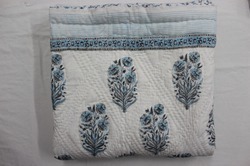 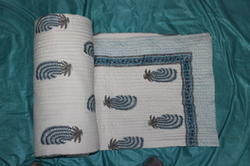 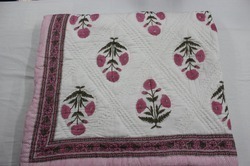 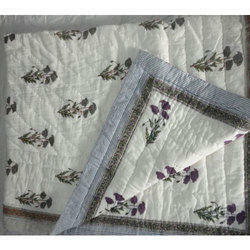 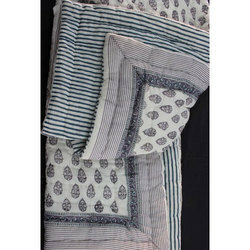 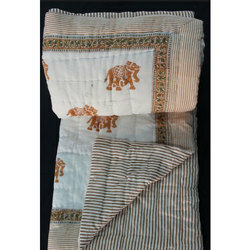 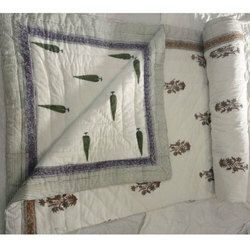 Looking for Jaipuri Quilts ?